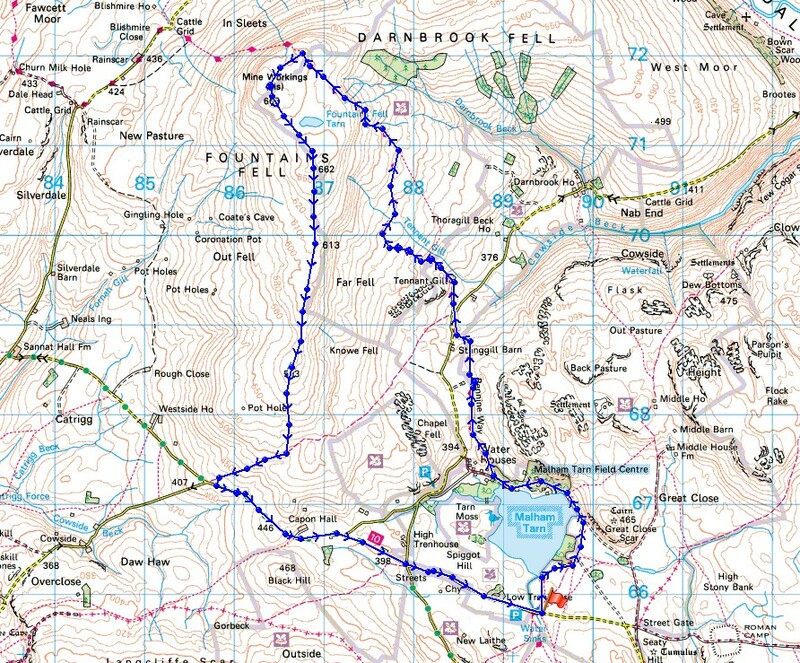 I've got another long weekend off work to enjoy and this time it's Saturday and Sunday that I have walks planned for. 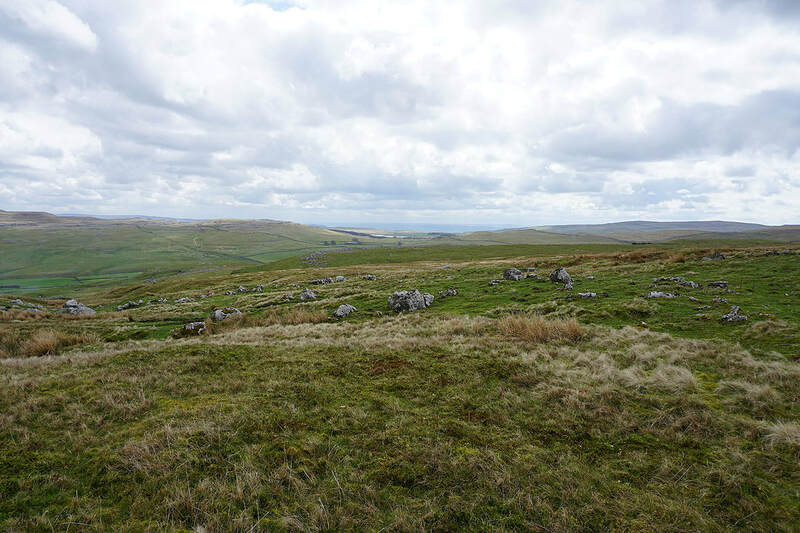 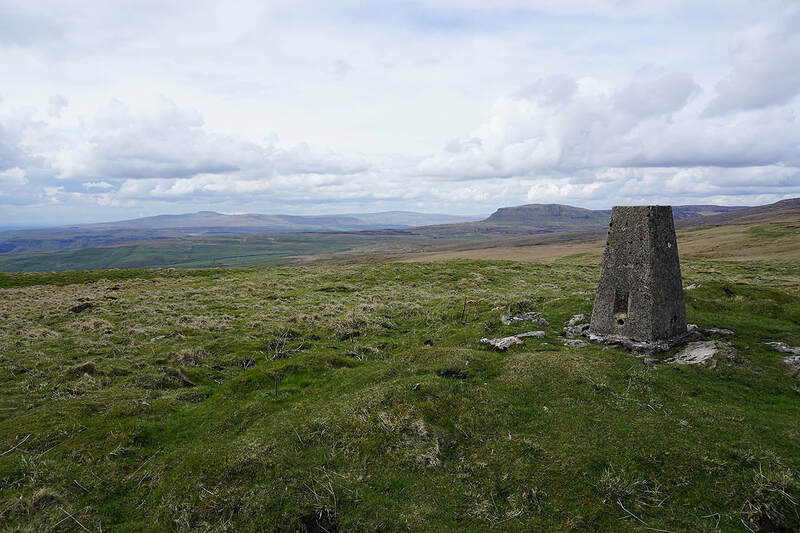 Today's destination is the Yorkshire Dales for a climb to the top of Fountains Fell. 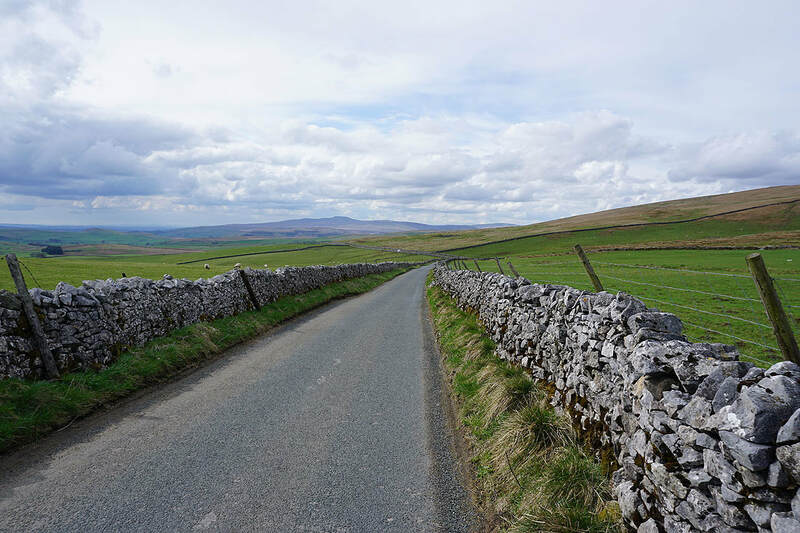 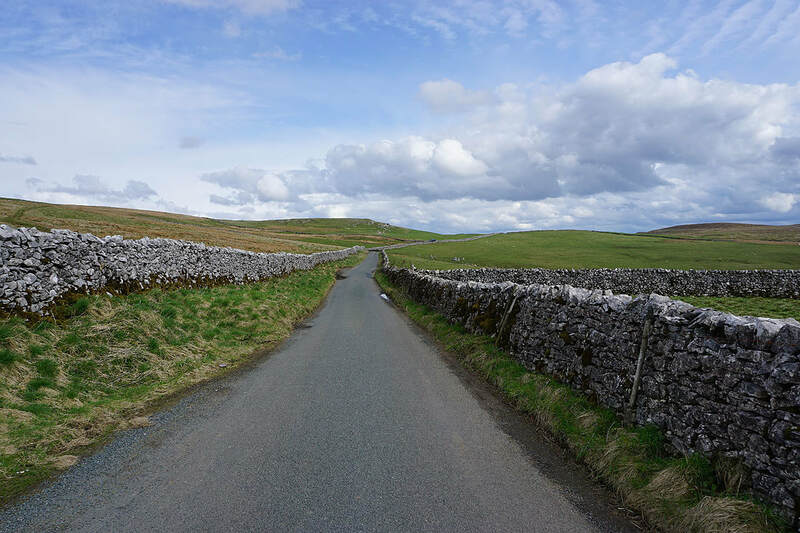 Apart from my first visit in 2010, when I did a route very similar to this one except in reverse, I've tagged Fountains Fell onto doing Plover Hill and Penyghent from Silverdale. 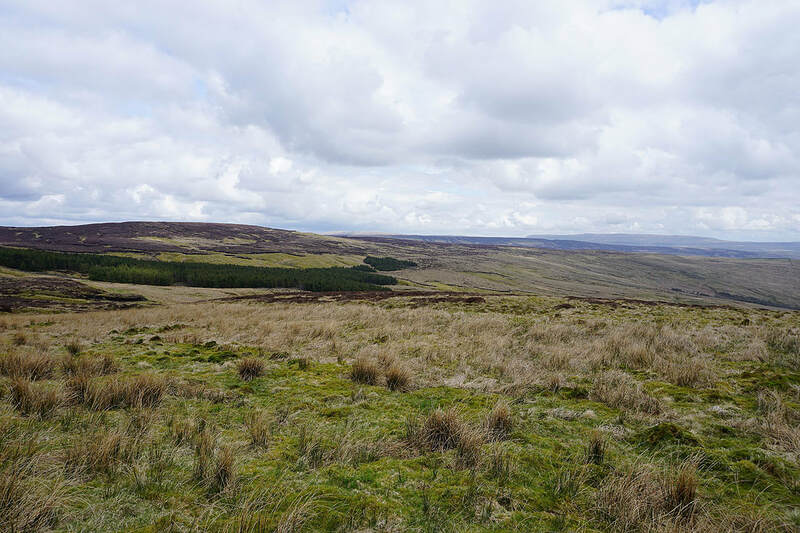 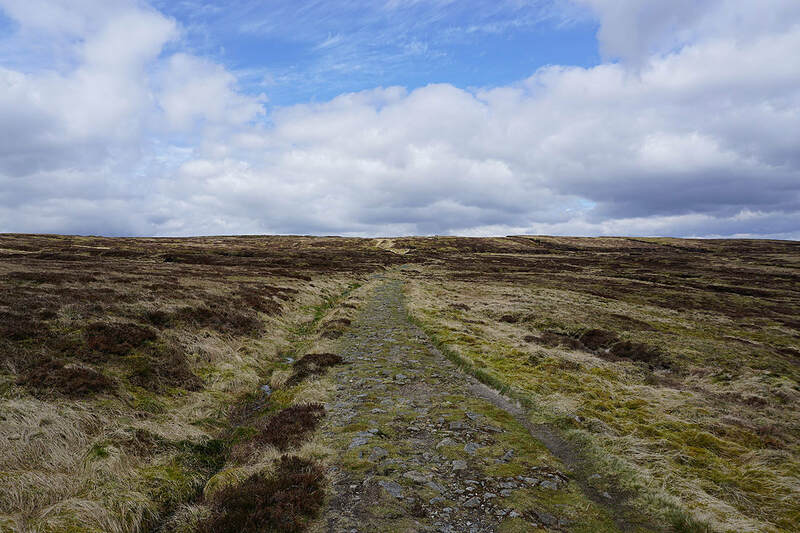 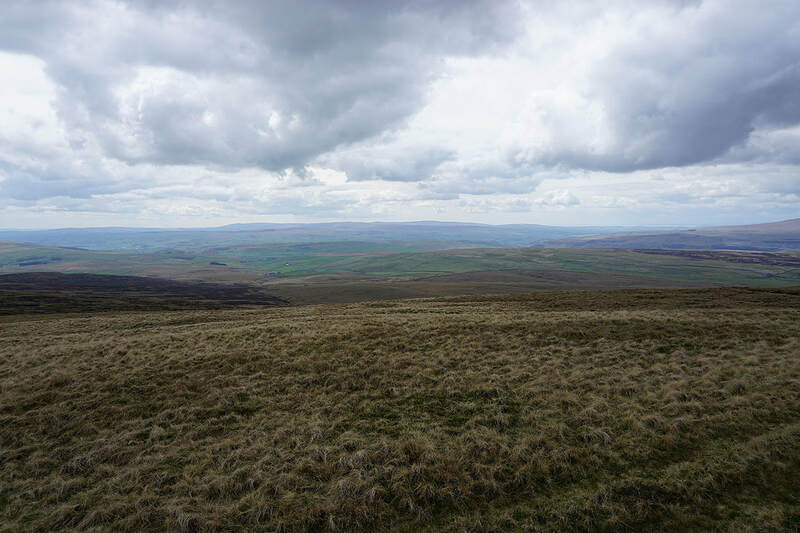 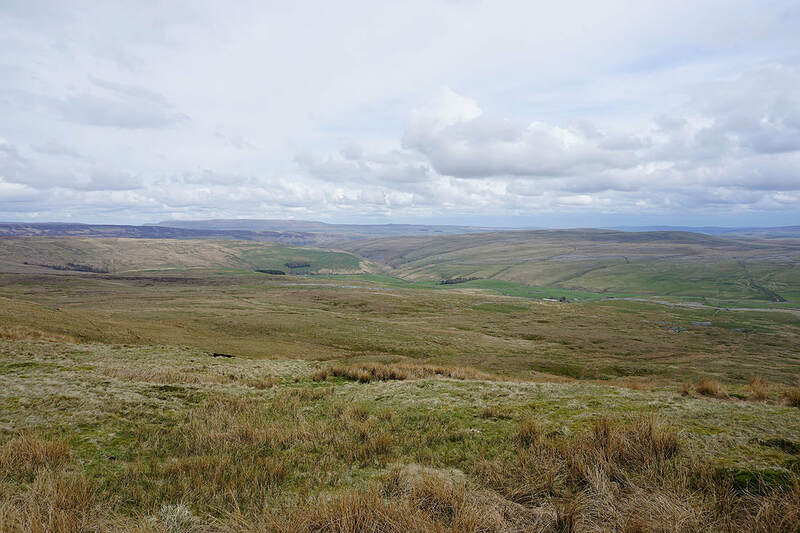 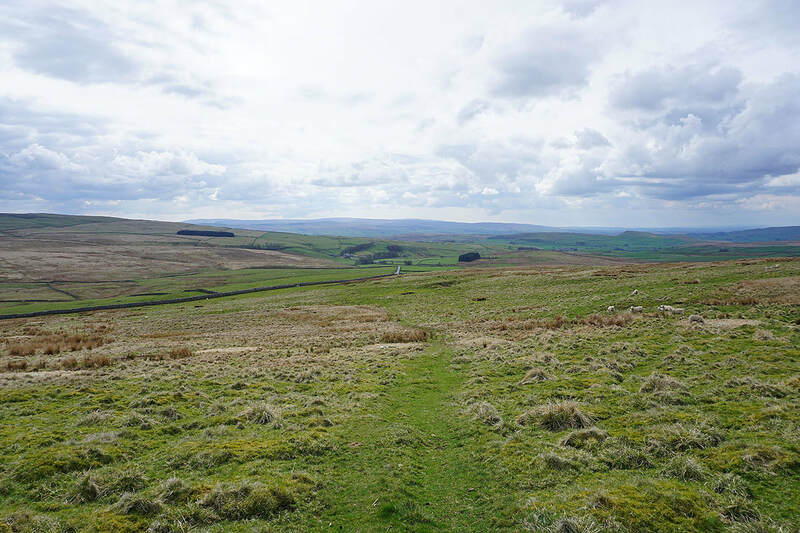 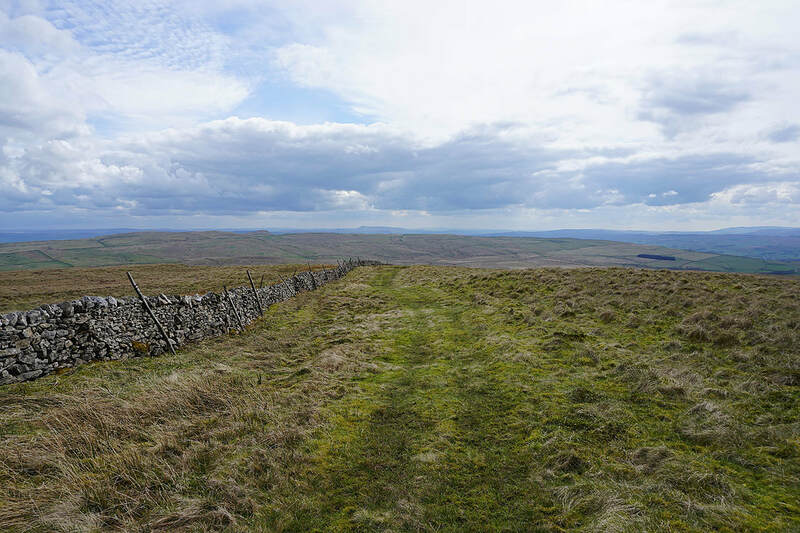 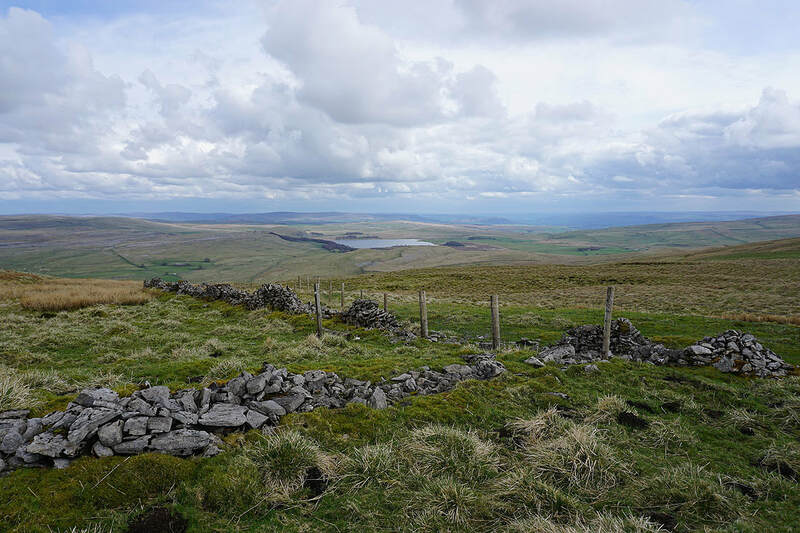 On its own this time and by using the Pennine Way to reach the top. 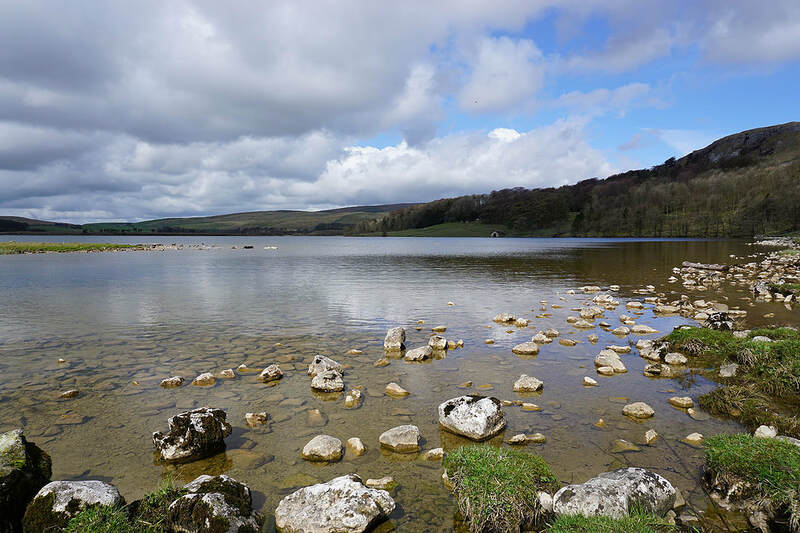 The day was a bit cloudy at times with a cool breeze, back to normal after last weekend's unseasonable warmth, though perfectly respectable for the end of April. 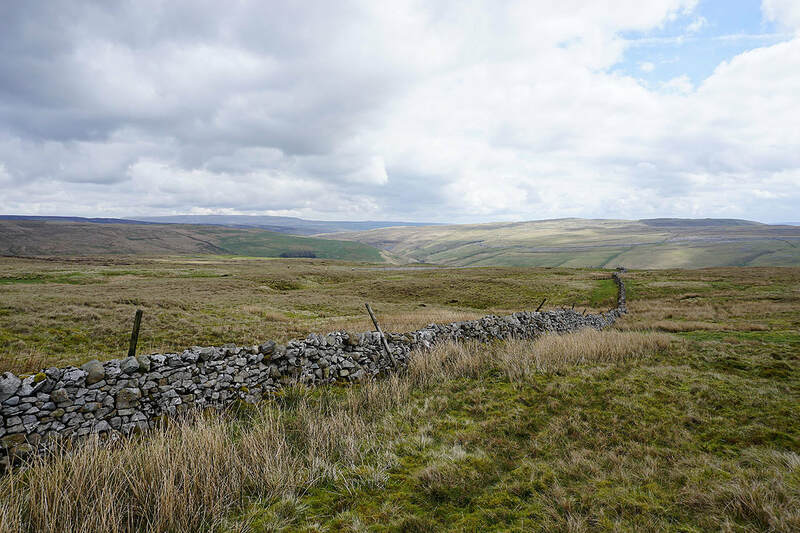 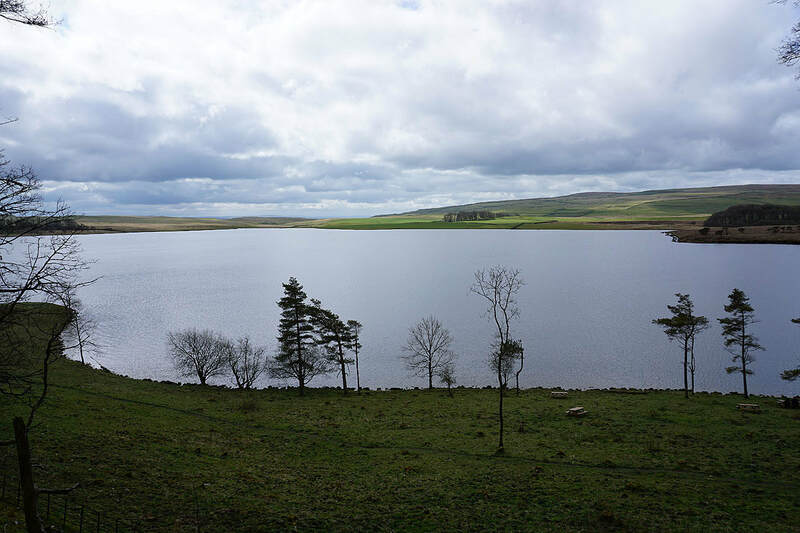 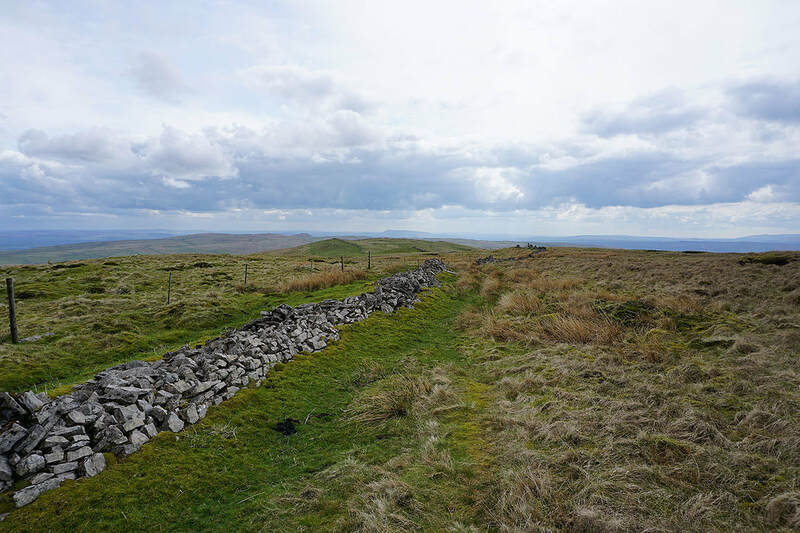 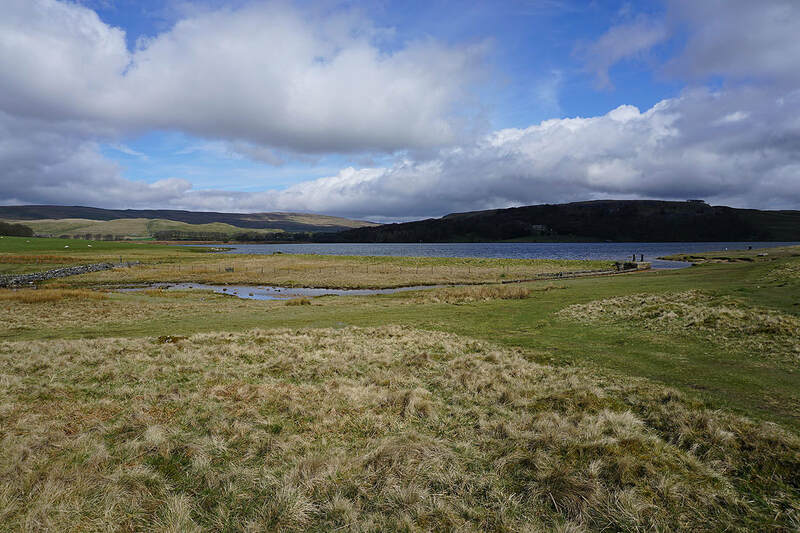 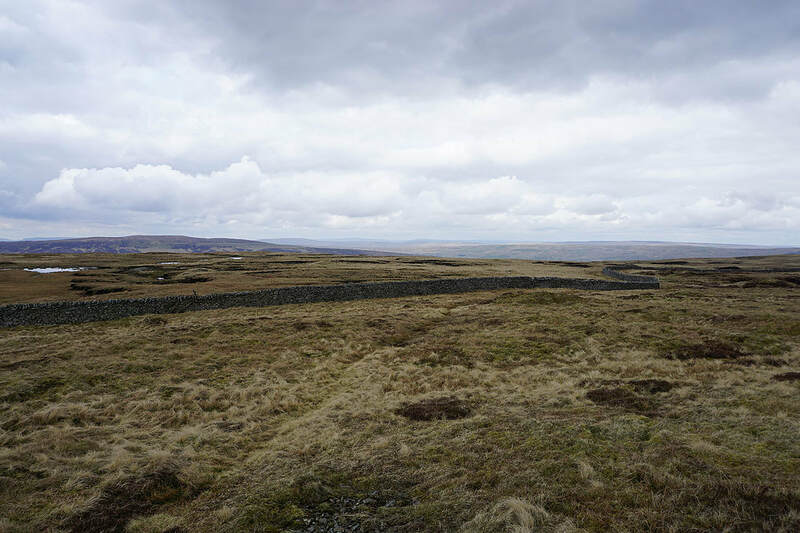 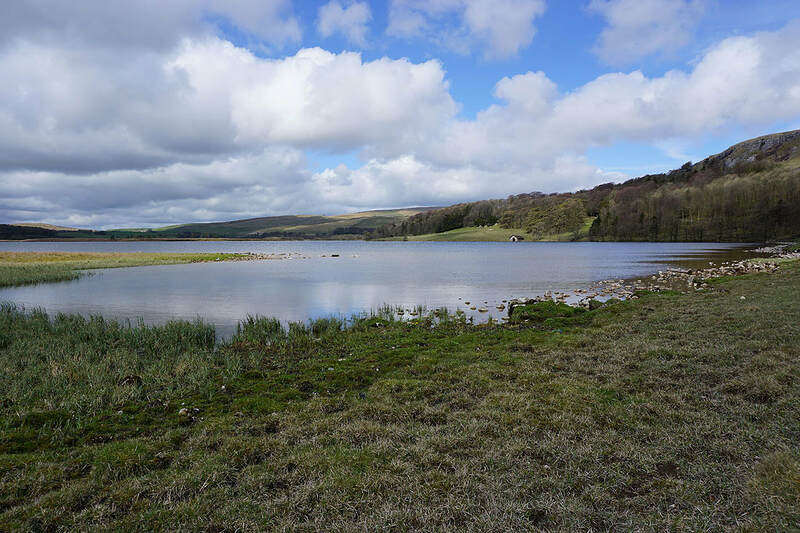 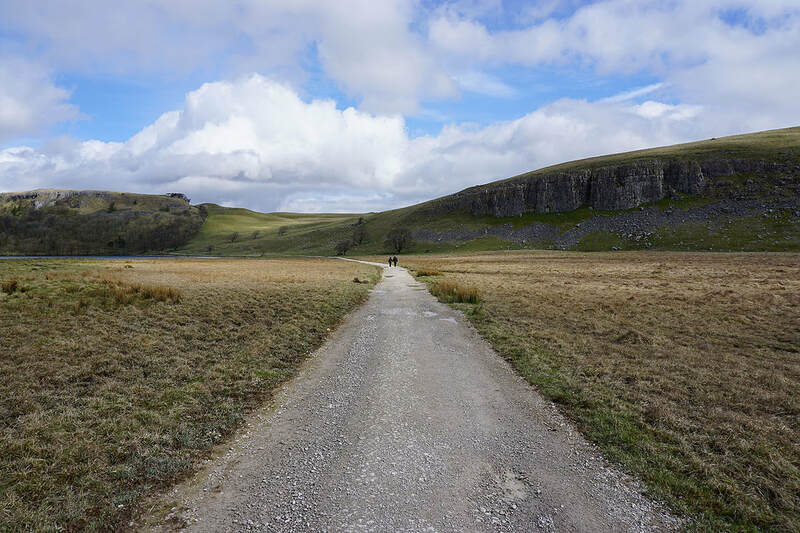 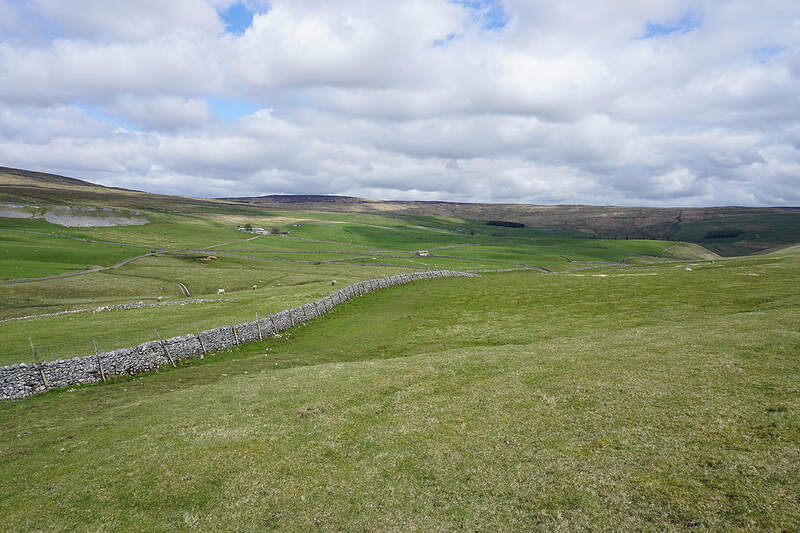 ​From the car park by the road past Malham Tarn I followed the trail of the Pennine Way past Malham Tarn, Malham Tarn House, then north to Tennant Gill Farm and up onto Fountains Fell. 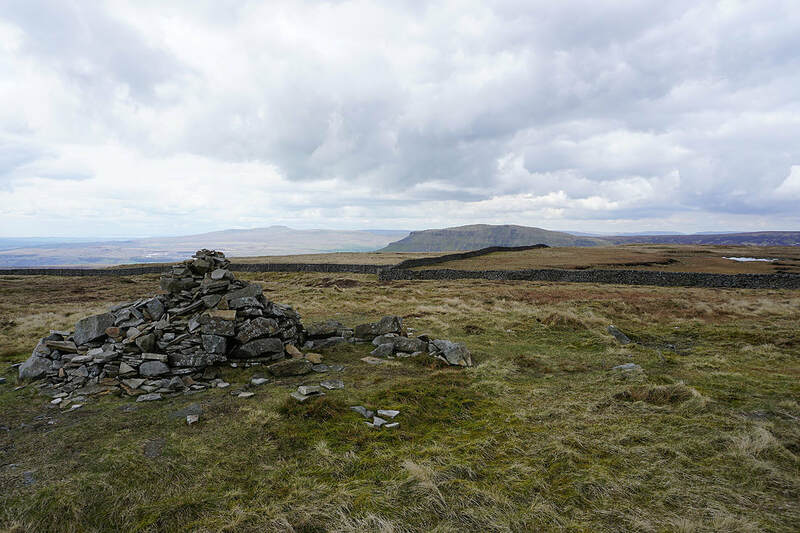 Lunch was had at the northern end of the summit. 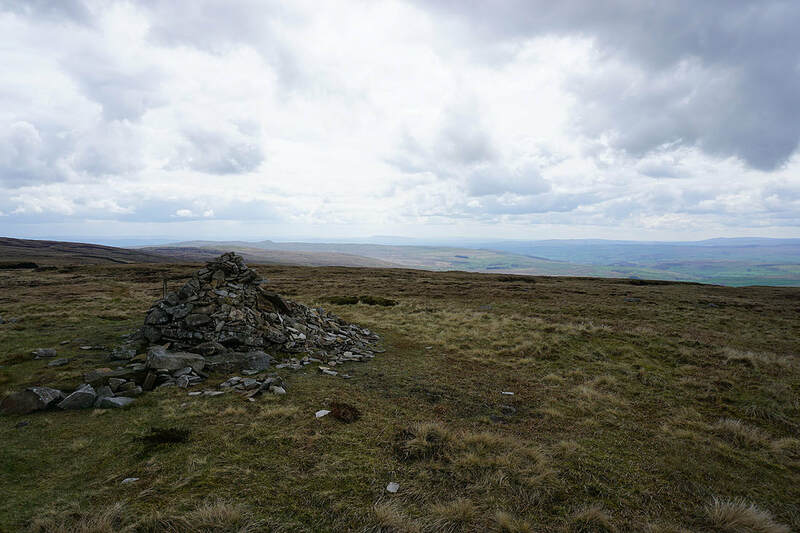 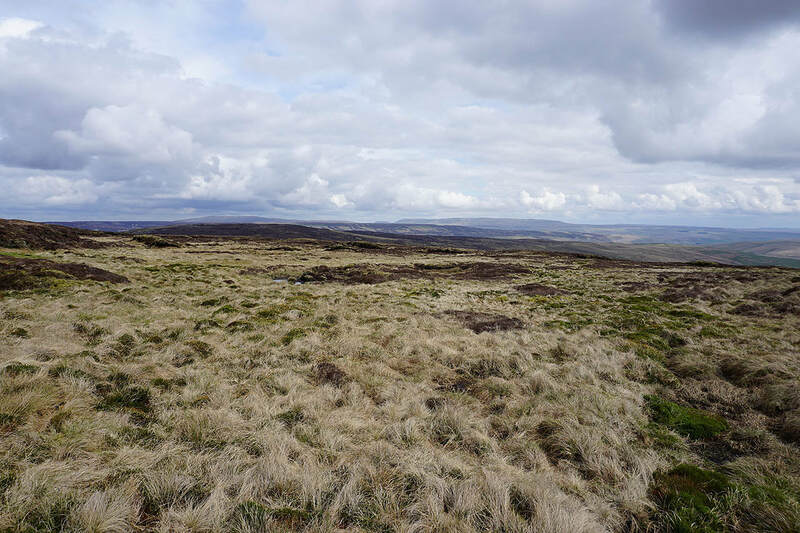 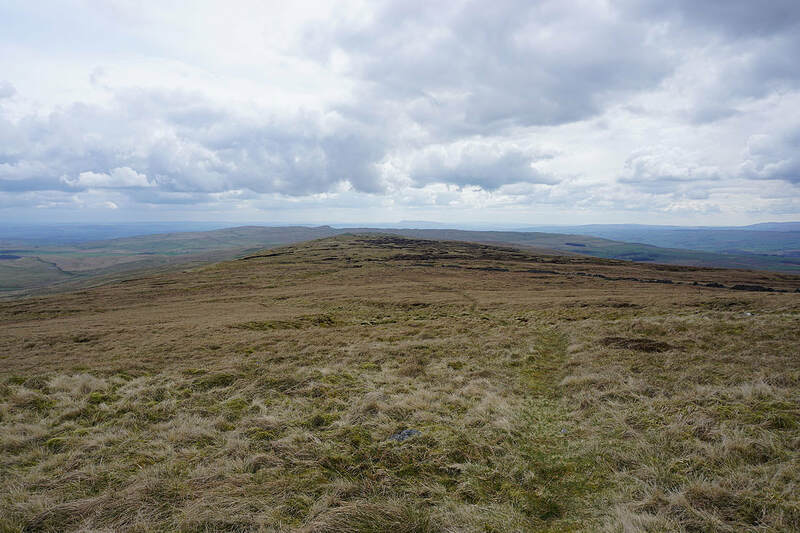 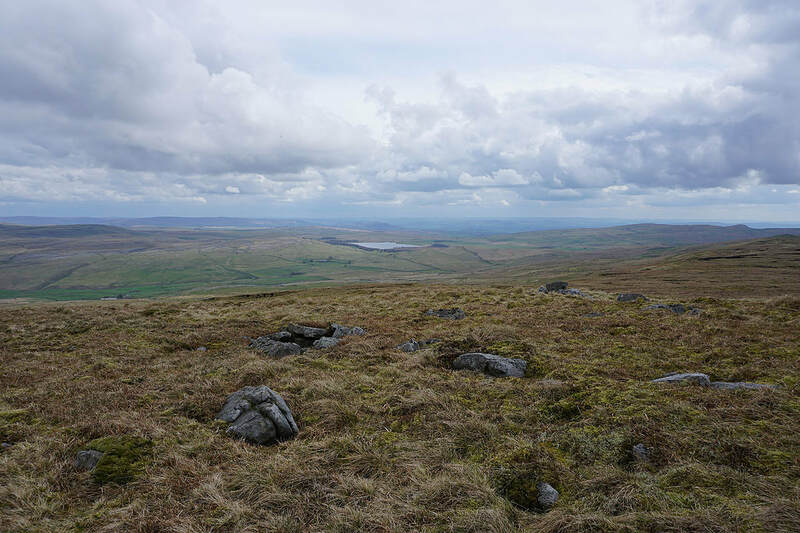 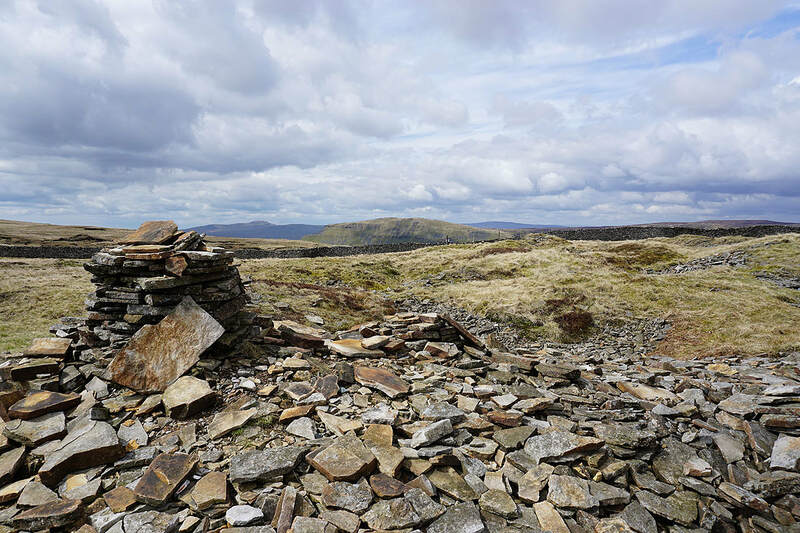 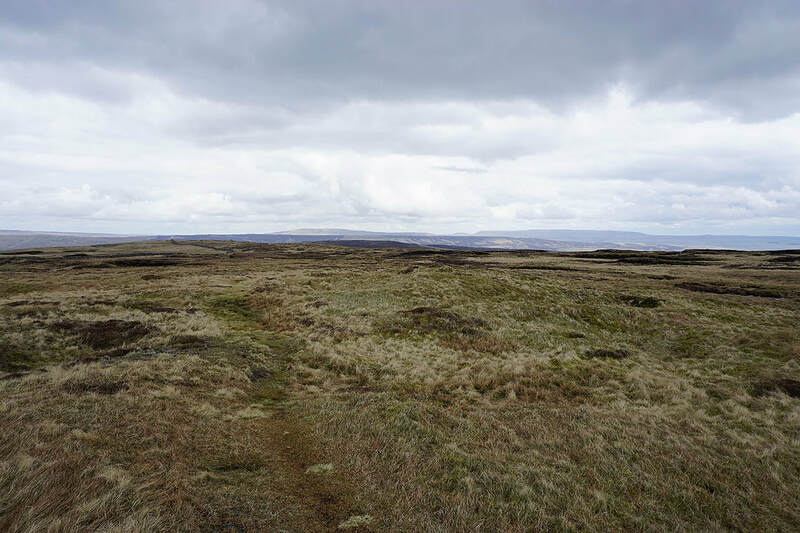 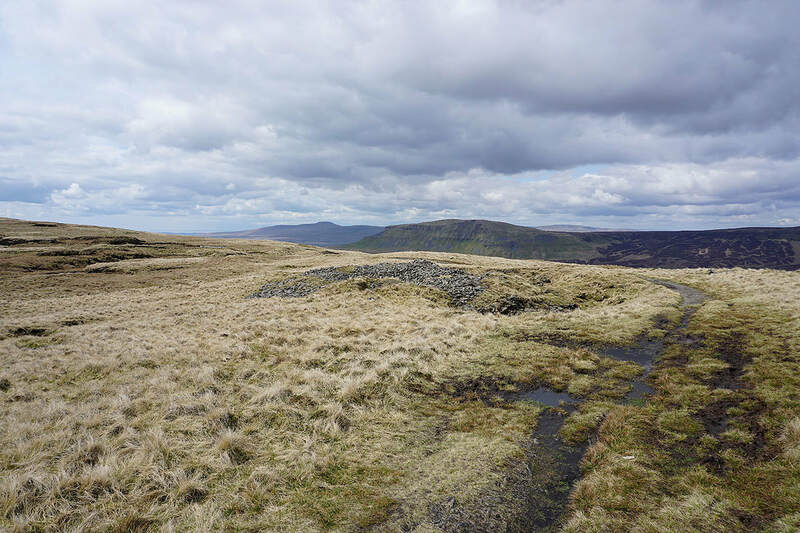 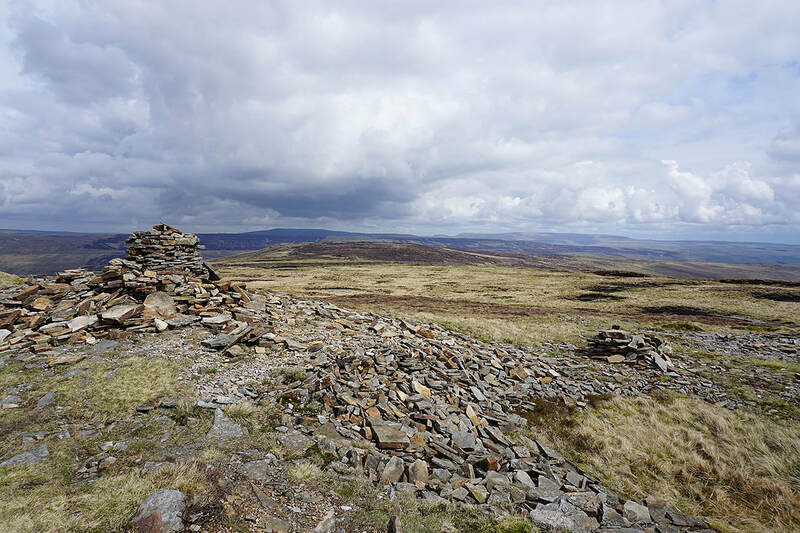 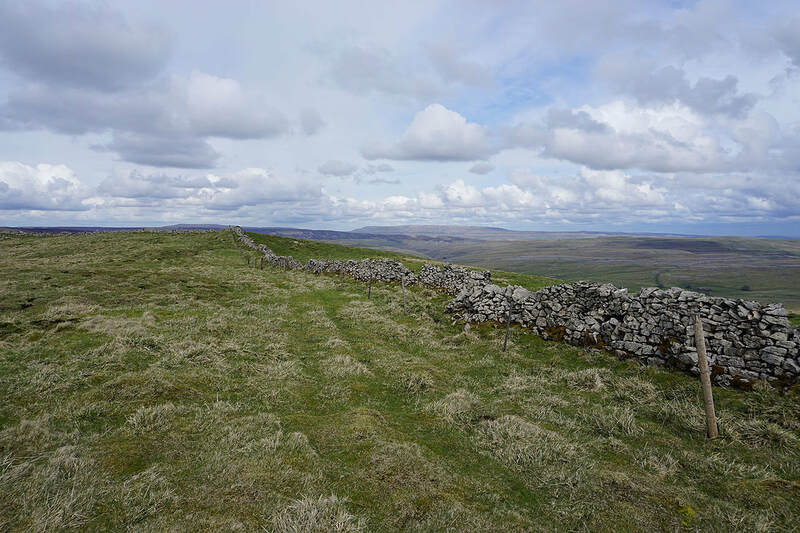 I left the trail behind to reach the summit cairn before heading south to Fountains Fell south top and down the ridge to the trig point on Knowe Fell. 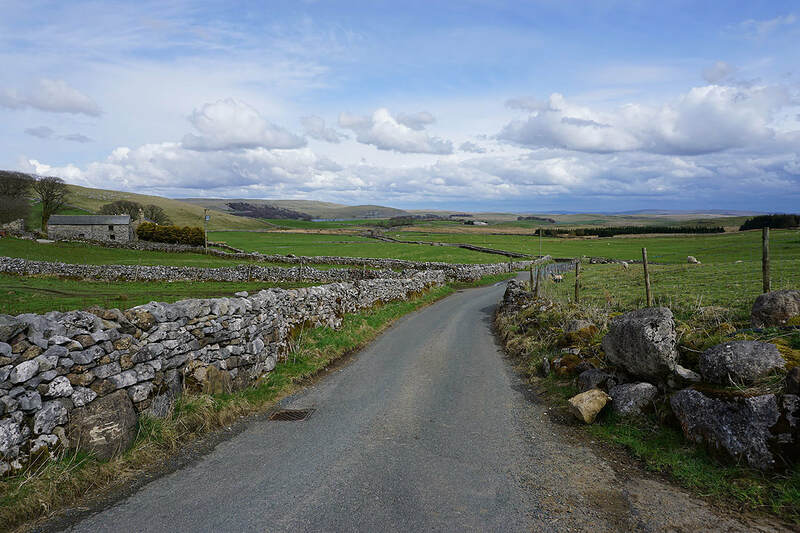 I continued south by the wall to pick up a bridleway that took me down to Henside Road. 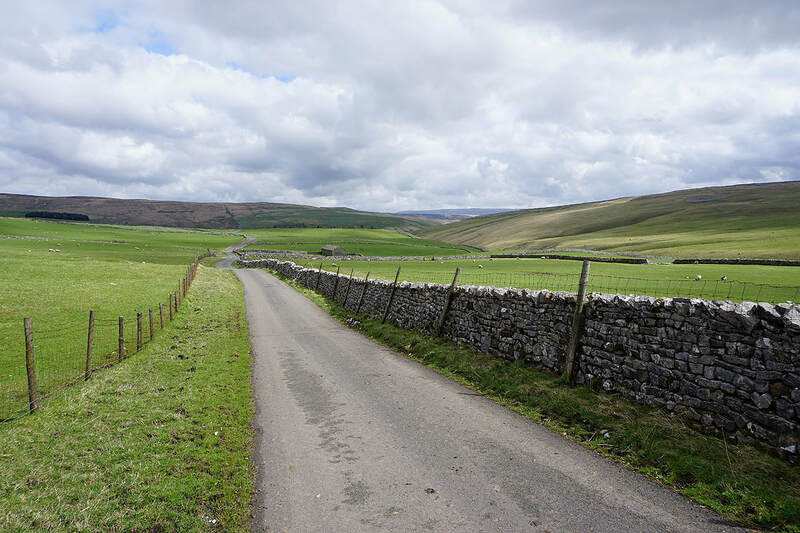 A rather long walk east along this road eventually brought me back to where I was parked. 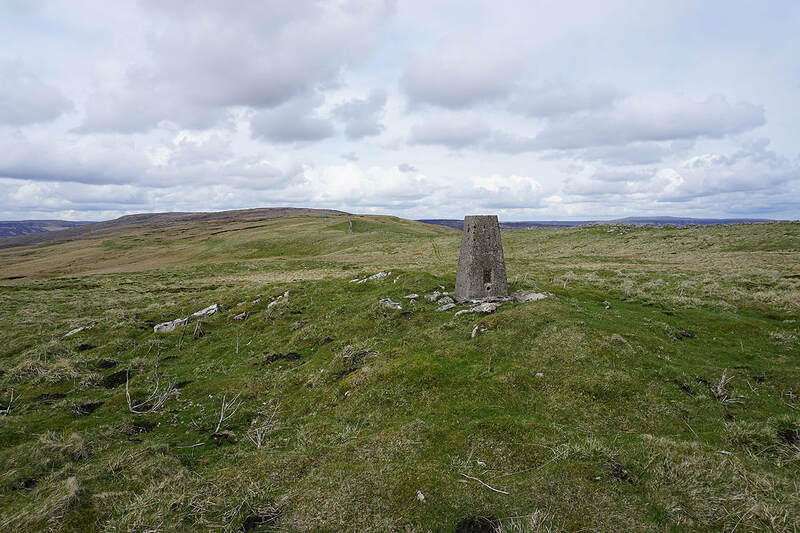 Back by the shores of Malham Tarn..
Malham Tarn and its surrounding moors..
At the trig point on Knowe Fell. 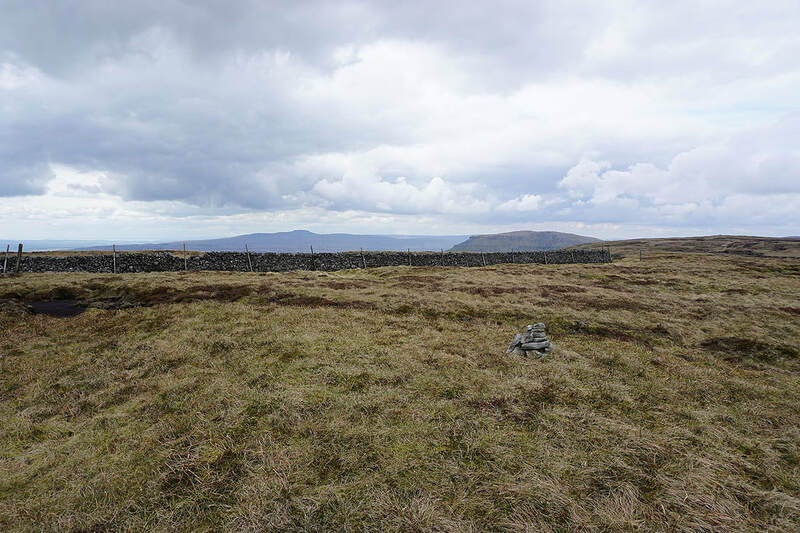 Looking back north to Fountains Fell.